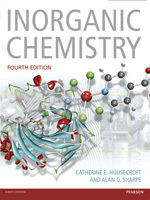 Throughout its four editions, Inorganic Chemistry has successfully given both teachers and students the tools with which to approach the subject confidently and with enjoyment. Environmental issues linked to inorganic chemistry, topics relating inorganic chemistry to biology and medicine, and the applications of inorganic chemicals in the laboratory, industry and daily life form the basis of a wide range of topic boxes in the book, helping students to appreciate the importance and relevance of the subject. A strong pedagogic approach is at the heart of Inorganic Chemistry. While worked examples take students through calculations and exercises step by step, the sets of self-study exercises and end-of-chapter problems reinforce learning and develop subject knowledge and skills. The end-of-chapter problems include sets of 'overview problems', and problems entitled 'inorganic chemistry matters' which use everyday material to illustrate the relevance of the material in each chapter. Definitions panels and end-of-chapter checklists offer students excellent revision aids. Further reading suggestions, from topical articles to recent literature papers, encourage students to explore topics in more depth.